Something I love to do during this season is to drive around with my family looking at Christmas lights. It's wonderful to do this sipping on peppermint hot chocolate as we go. 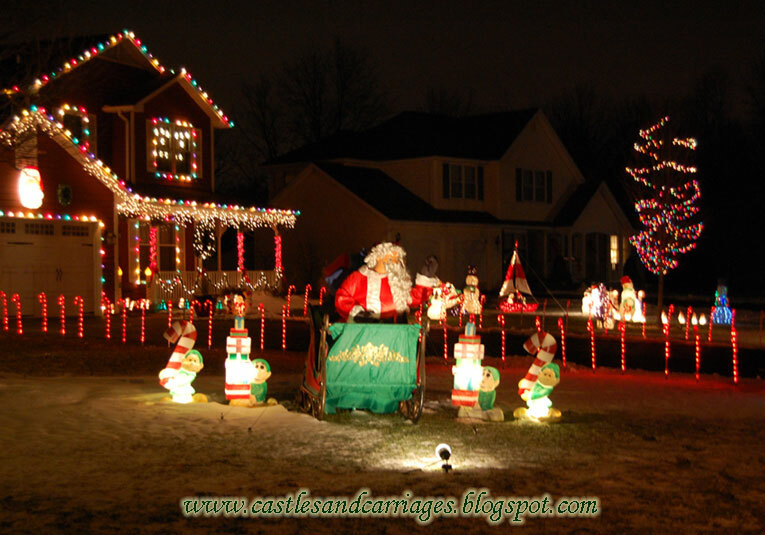 This by far is one of the best decorated houses that we've seen. It comes complete with Santa that waves his hand and reindeer on the other side of the house. I hope you are enjoying this holiday with your family and close friends.